I ddarllen y tudalen hwn yn y Gymraeg cliciwch fan hyn. Working whilst studying? Know your rights! Learn to protect yourself from unscrupulous employers and how to build a better tomorrow! 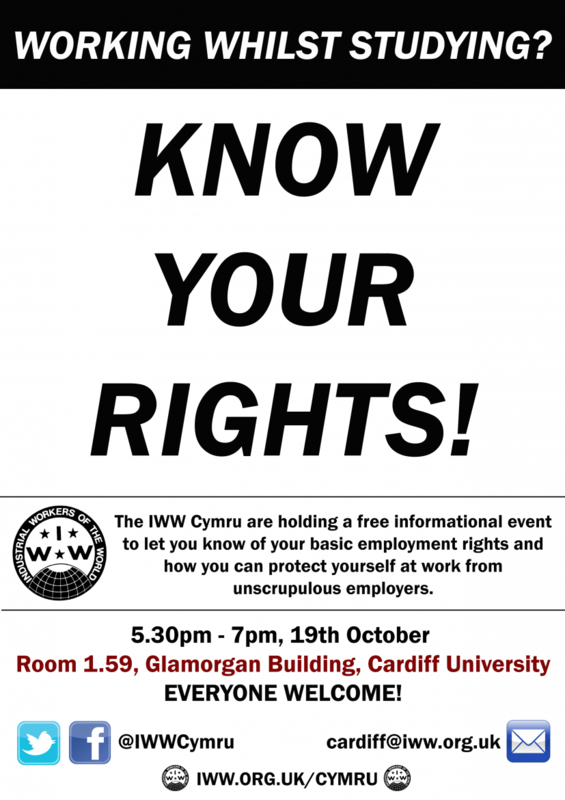 Come along to Room 1.59, Glamorgan Building, Cardiff University, Cardiff CF10 3NN on the 19th October between 5.30pm and 7.00pm! Everybody welcome!